I am very happy that the SNP has been dealt this defeat (even though BBC is painting it as a victory). 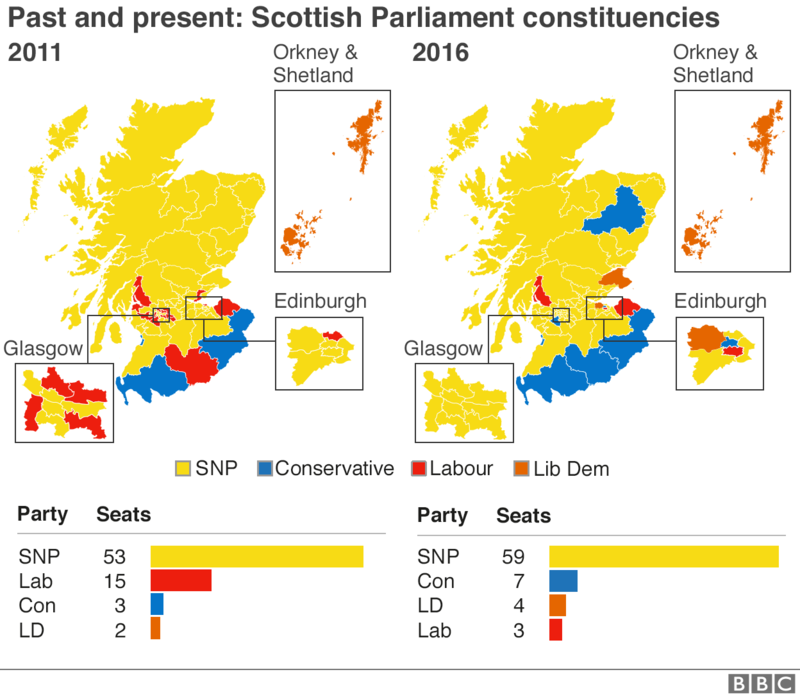 Also if you Look at the Map of results here: www.bbc.co.uk/news/election/2016/scotland/results , you will note that the whole of the Border region returned Conservative MSPs. Thus I suggest the Border region be annexed to England. Another good thing about the result is that the SNP have no mandate to start kvetching about another referendum for independence, and the same applies if we vote for a Brexit. Last Edit: 06 May 2016 11:52 by Voltaire. It's not unusual for the 'ruling party' to get a drubbing in local elections. I reckon the SNP will do OK come the next General Election. Will be interesting to see which way SNP jump if Brexit happens though. It was an election to the Parliament (scottish ) - so not really local ie council elections, which did not take place in Scotland on Thursday. I am not a tory but i voted tory just to keep snp out and we returned a tory, John Lamont. Other vote went to UKIP.